The Most User-Friendly Archive Storage Boxes In The World? Secure Archive Document Storage and Retrieval Services for businesses in Kent, London, Sussex and Surrey. Confidential Destruction Services for Organisations in Kent, London, Sussex and Surrey. The Most User Friendly Archive Storage Boxes In The World? 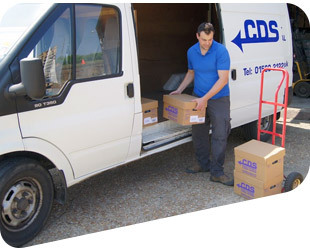 With over 17 years’ archive storage and retrieval experience, Company Data Storage (CDS) provides first class off-site document storage and retrieval services to companies in Kent, London, Sussex and Surrey. On-site document storage is expensive and managing your archive documents is a laborious and time consuming task. Let our expert archivists take care of your archive business records and still enjoy easy, quick access to your files whenever you need them. We also offer a certified shredding service for all your secure document destruction requirements. This is archive management at it’s best. Easy. Efficient. Economic. Company Data Storage Ltd is fully GDPR compliant. Contact us today if you require assistance with your GDPR compliance.